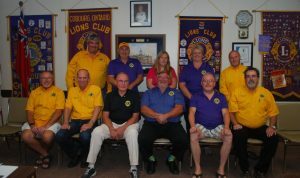 Since our charter in 1950, The Lions Club of Cobourg has lived up to Lions International’s motto of “WE SERVE”. Over the years, our community projects have included donations to The Northumberland Hills Hospital chemotherapy unit, local Sports associations, bursary and scholarships to area schools,individuals and families in need of assistance, CNIB, Baltimore Arena, Lions Pavilion in Victoria Park and an organizing sponsor of the Cobourg Santa Claus parade plus many more projects too numerous to list. 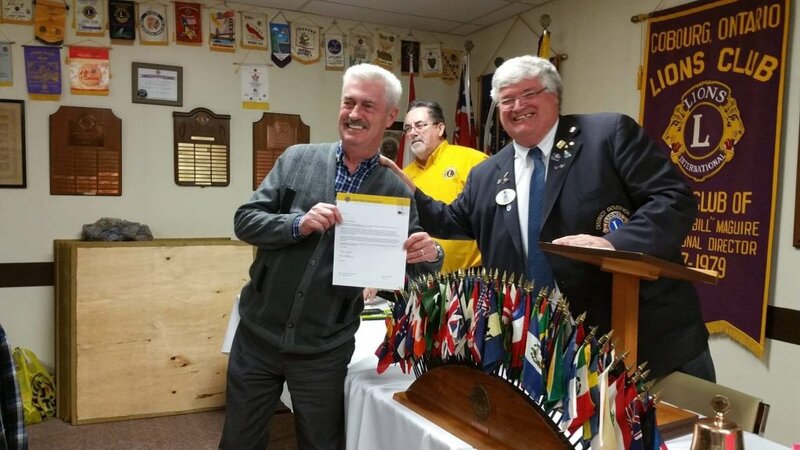 The Cobourg Lions Club is proud to have been the first area service club to have had one of its members elected to an international office. Past Club President William H. (Bill) Maguire was elected International Director at the 1977 international convention in New Orleans, USA. 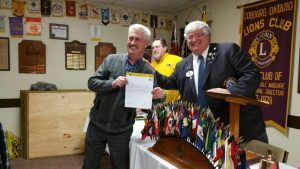 Lions Clubs International, established in 1917 is the world’s largest service club with over 1.4 million members in 205 countries and geographical areas. Since 1925 when Helen Keller challenged Lions to become “Knights of the Blind“ by the then International President Lion Harry Mewman of Toronto, Canada, we have worked to end preventable blindness. The Lions Foundation of Canada founded by Lions Clubs provide dog guides to Canadians through four programs, Leader Dogs for the Blind, Canine Vision Canada, Hearing Ear Dogs and Special Skill Dogs. On behalf of the Directors and members of the Cobourg Lions Club, I thank you for your continued support of Lions projects and if you happen to see one of our members in our Lions vests say hello.. we’d love to hear from you. 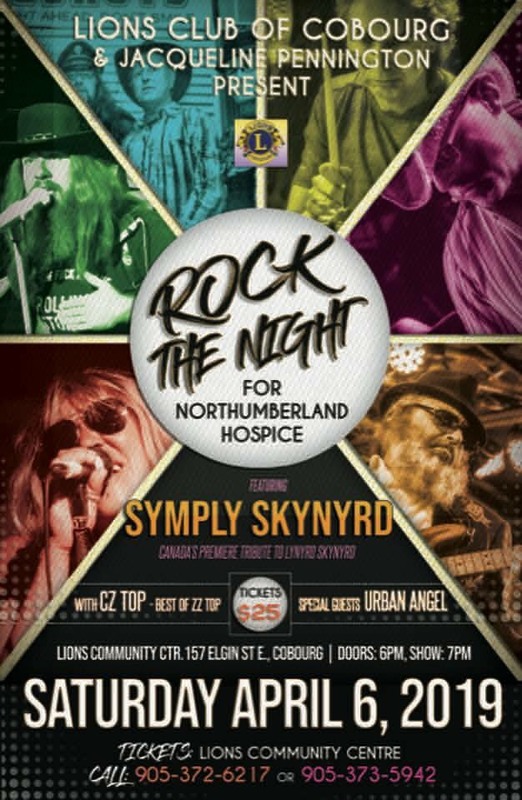 Lions Club of Cobourg & Jacqueline Pennington present "Rock the Night" for Northumberland Hospice on Saturday April 6, 2019. Doors open at 6pm; Show at 7pm. Do you have a donation site or email I can EFT?? I’d like two tickets please. Wish I could make it, another time. Thank you to EVERYONE that bought tickets, attended and donated. Thank you Jacqueline Pennington for your huge support! TOGETHER we raised $8,650 for Ed's House, Northumberland Hospice. Congratulations to everyone involved in this event! It was a wonderful night, with fabulous music! That’s fantastic news!! Congratulations to the Lions Club and thank you Jacqueline Pennington for your support!! That is a great number - it was a great event - Jacqueline Pennington thanks again! !